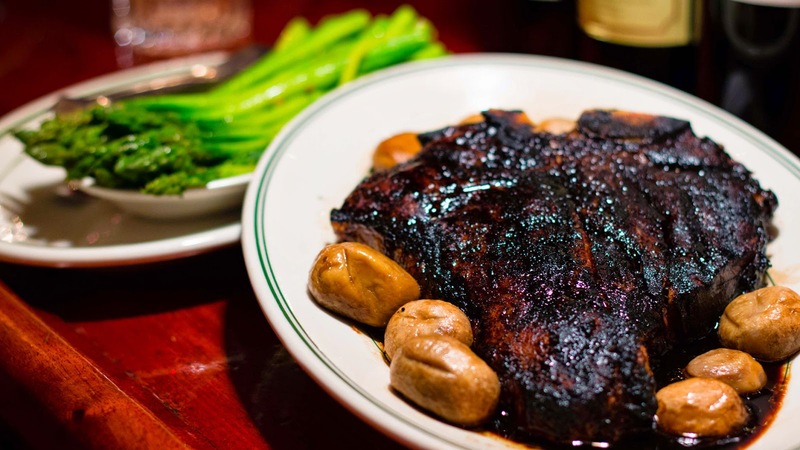 The Five O'clock Steakhouse, where the tradition of the classic steakhouse or supper club never ends, is one of those places in Milwaukee you have to visit at least once. There is no better time than the present as the premier steakhouse is hosting a food drive and fundraiser for Hunger Task Force of Milwaukee now through March 21, 2015. You can get your steak on and give back at the same time. Donate a non-perishable food item through Friday, March 20, 2015 and receive $15 off your dinner on a Tuesday through Friday. Plus, if you share a photo on social media mentioning the food drive when you dine at the restaurant you get another $5 off. For you non-mathletes that's a total of $20 off. To end the drive, on Saturday March 21, the steakhouse is hosting a party with live music and a fundraising event in their Alley Car Lounge. Featuring live music by Milwaukee's Kris Crow and complementary hot appetizers. Tickets are $15 in advance or $20 at the door. If you want to join in call 414-342-3553 for tickets. The offer of the discount per donation is valid only at time of donation and valid Tuesday through Friday until March 21 and only one credit per table and not valid with any other promotion or discount. Still, $20 off is well worth it. Whether you have been to the Five O'Clock Steakhouse before or not, this is a great opportunity to experience a quintessential Milwaukee establishment with a great discount and help out others at the same time.